What is the impact of the dietary antioxidant capacity on the risk of type 2 diabetes? A recent study lead by Dr. Guy Fagherazzi, from Unité Inserm 1018 « Centre de Recherche en Epidémiologie et Santé des populations » Equipe “Générations et Santé”, Villejuif, France: "Dietary antioxidant capacity and risk of type 2 diabetes in the large prospective E3N-EPIC cohort", was published in Diabetologia, 2017. 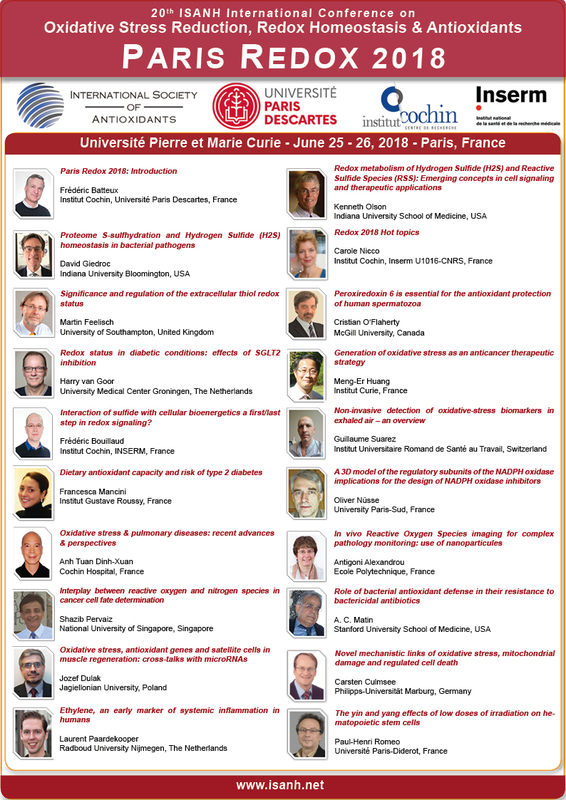 During Paris Redox 2018, Dr Francesca Mancini, one of the co-author of the study, will present the results of the publication. How to evaluate total antioxidant capacity in a large prospective cohort study? Is the consumption of antioxidant rich foods associated with a decreased risk of type 2 diabetes? Antioxidants and diabetes: the more the better?